Get Peace Of Mind For Everyone. Everyday, we help families recognize and understand quality of life needs surrounding the care of aging loved ones. We listen and help them get the answers they need. Watch the Better Senior Care video. Elder Connections’ Geriatric Care Managers provide practical, affordable and caring solutions to help you secure better senior care for your aging parents. To start, we offer a complimentary planning consultation as an immediate solution. 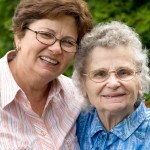 The Caregiver’s Resource for Better Senior Care will give you connections to additional elder care specialists. When exploring better senior care options, knowing the right questions to ask is important. Our Plan Kit contains a questionnaire and several information resources that raise the right questions and provide non-biased answers to them. We think you’ll find it a good place to start your process. “Elder Connections gave us a plan for alternative living, medical services, and additional resources that we could never have discovered without them. Your personal info is always kept confidential.